I am #SprungOnColourpop. 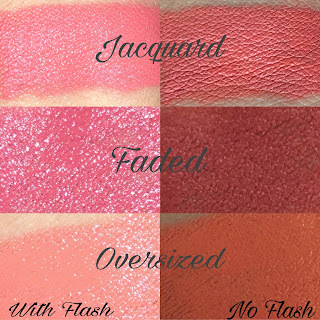 Their latest collection is full of monochromatic colors in Nectarine tones. I didn't pick up the entire collection, but I still got plenty to try out. Peach, coral, and orange are definitely having their moment and I am all about the monochromatic trend. Pressed powder shadows are still pretty new to Colourpop. So it's a given I had to give the Blow Me Away palette a try. The packaging is adorable. 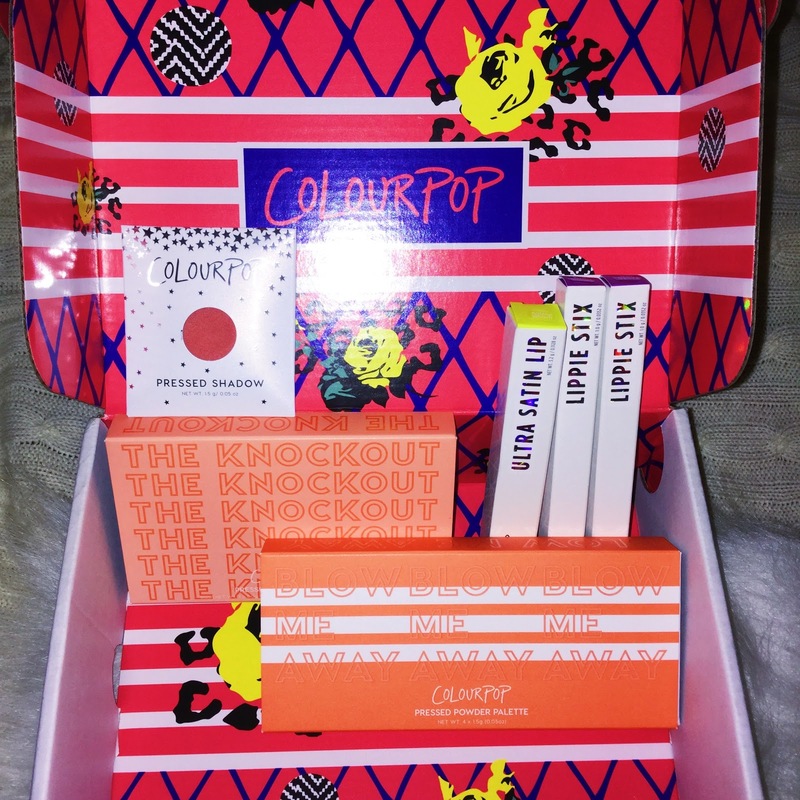 Colourpop has always had the cutest presentation with their products. 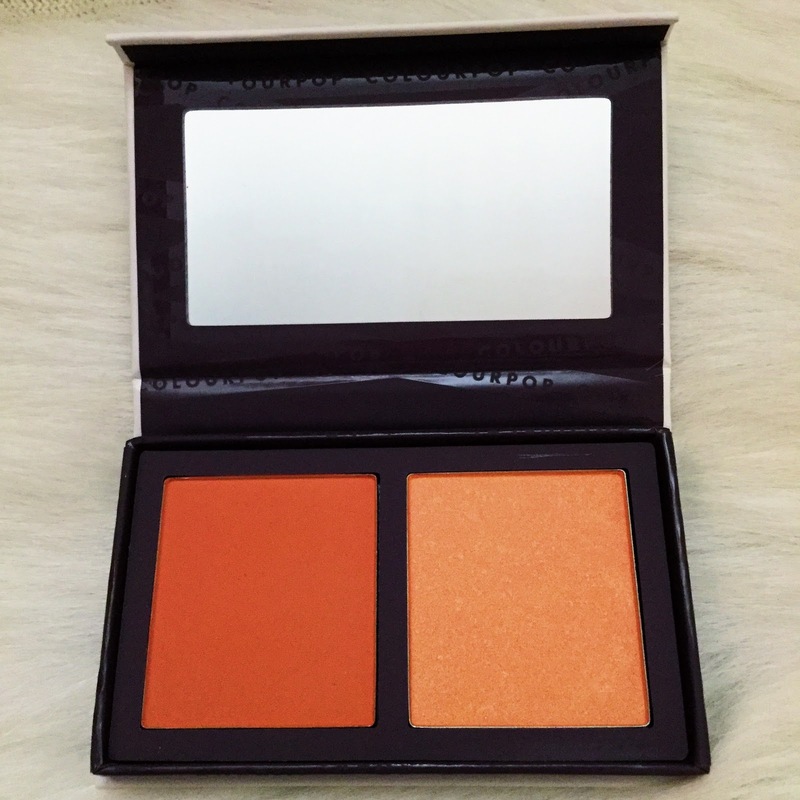 The palette has an orange cover that slides over it to keep everything intact and add an extra layer of protection. The inside is just as cute (peep the "made you look"). When opening the box, the shadows I recieved weren't placed in the order they're listed on the back of the box, but that's totally fine. The description is clear enough to figure out which color is which. From Left to Right are: Issues, Take a Break, Slim Fit, and Centerfold. 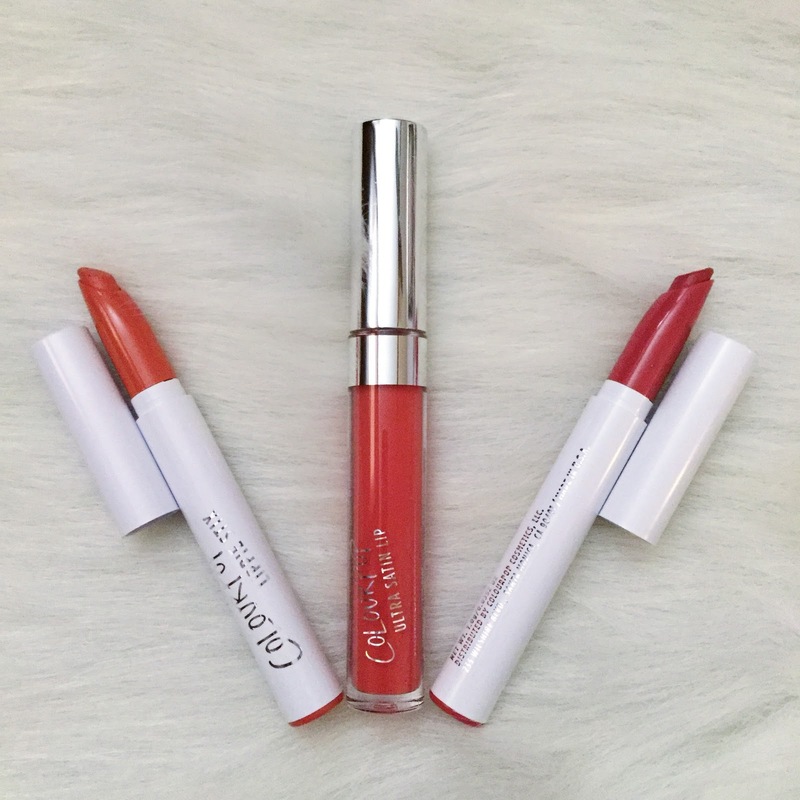 From Top to Bottom are: Centerfold, a matte vibrant coral. Slim Fit, a matte hot red coral. Take a Break, a duochrome peach with a subtle gold flip. Issues, a matte pastel peach. 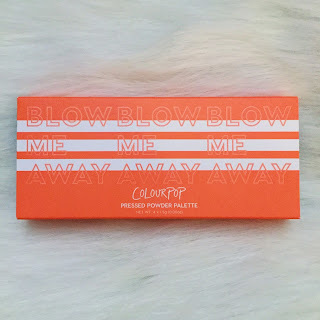 The Blow Me Away palette retails for $18. Another item in the collection is a single pressed shadow in Cut-Outs. 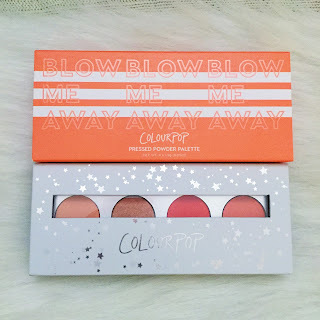 Cut-Outs goes perfectly with the Blow Me Away palette, and I couldn't pass it up. I may take all of the shades out and combine them in a z-palette so I can have them all together. 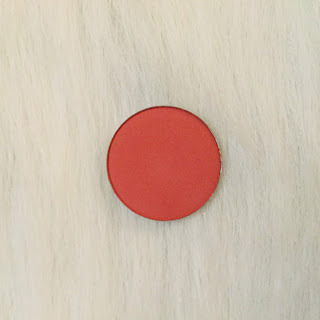 Cut-Outs is a matte dusty coral shade. The pigmentation of these shadows is above and beyond. 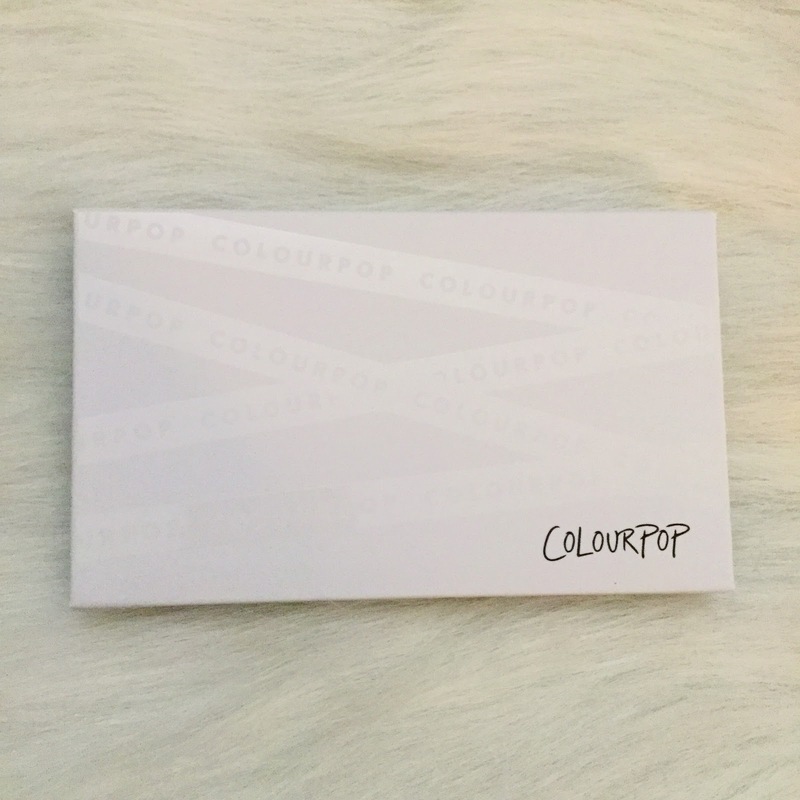 Something to expect from Colourpop. 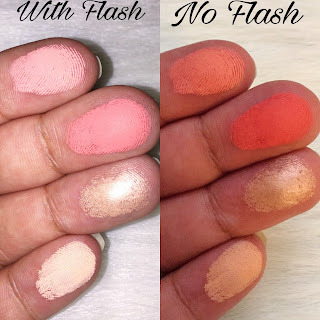 Plus they're creamy and smooth which makes them easy to blend on the eyes. Cut-Outs retails for $5. And if you only like a shade or two from the Blow Me Away palette, they are sold as singles on the Colourpop website as well! The next items I hauled were two Lippie Stix and an Ultra Satin Lip. 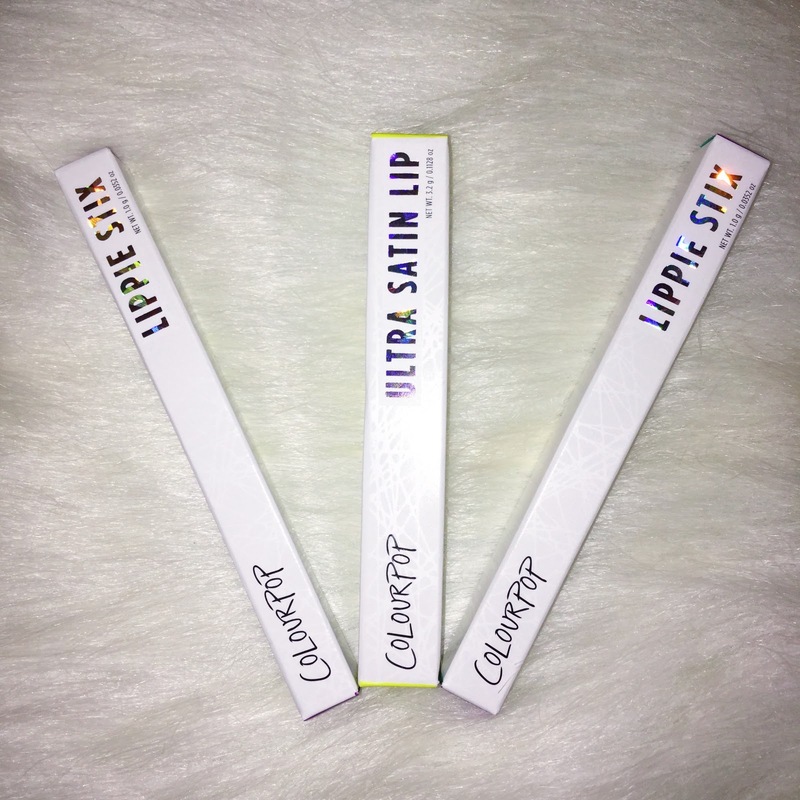 From Left to Right are: Oversized, a Lippie Stix. 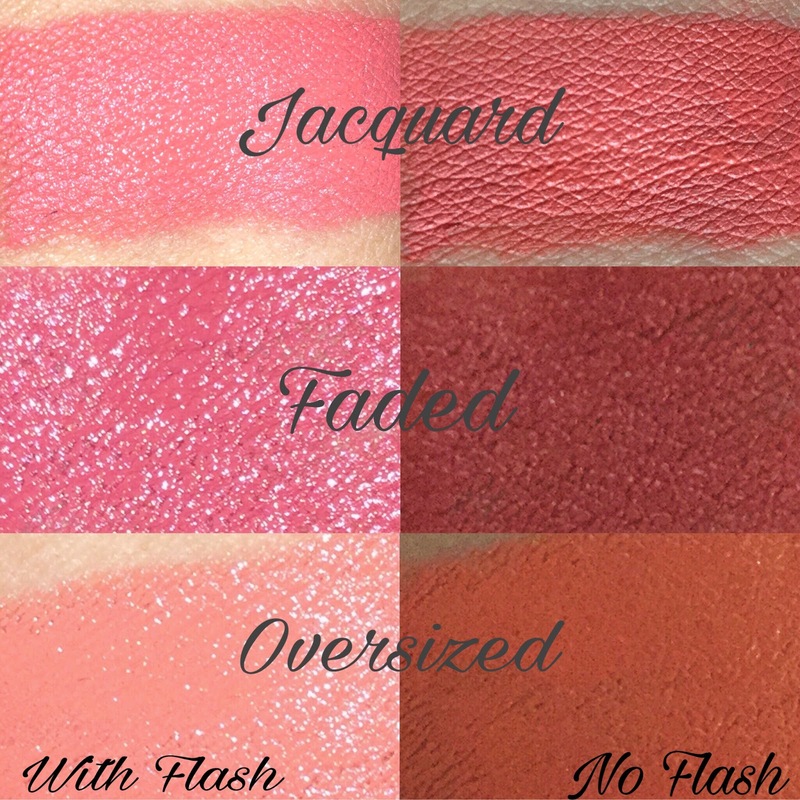 Jacquard, an Ultra Satin Lip. Faded, a Lippie Stix. 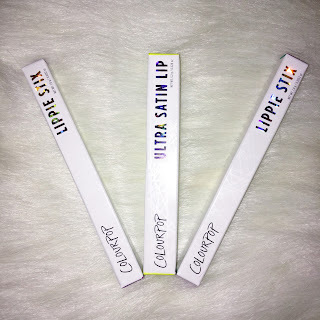 Lippie Stix retail for $5, and Ultra Satin Lips retail for $6. Jacquard is a true coral, and is a more comfortable formula than Colourpop's Ultra Matte Lip since it's their Ultra Satin. 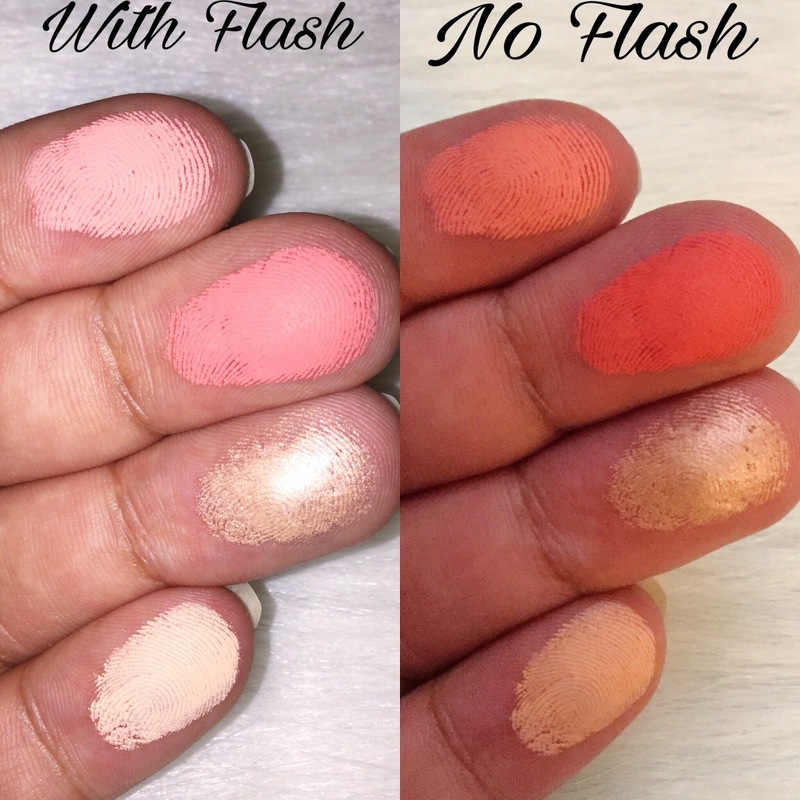 Faded is a rosey coral in a Creme finish. I'm a sucker for rose tones so of course I had to pick this Lippie up. Oversized is a yellow peach in Creme finish. Perfect for completing a full face of orange-peach tones. 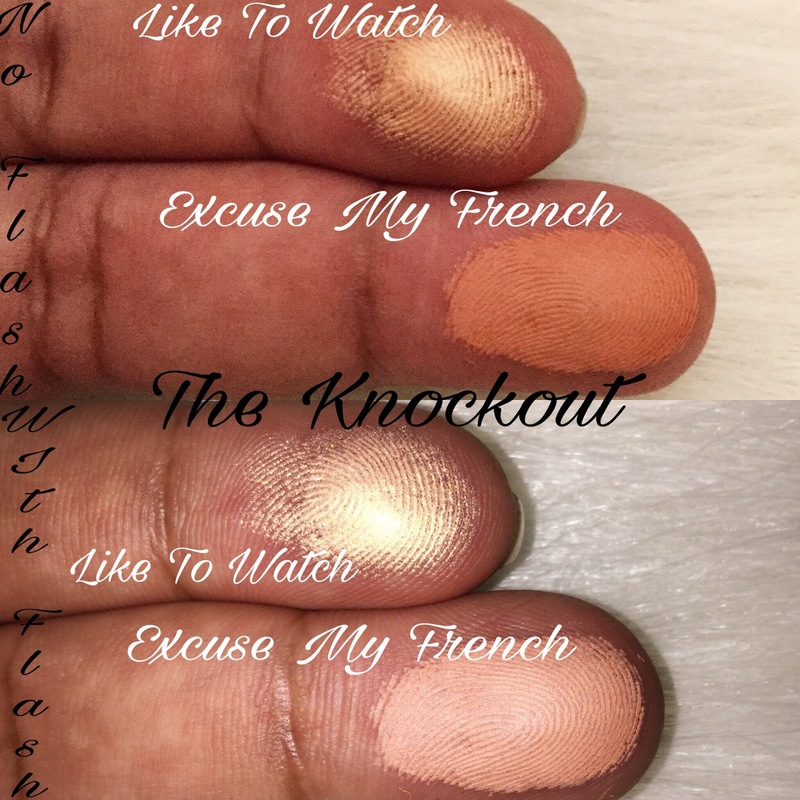 The Knockout palette is a pressed powder face duo. 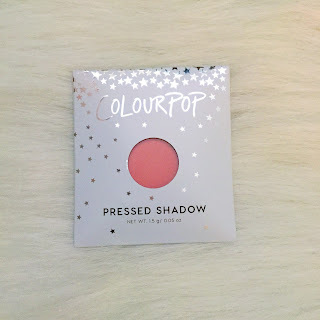 Colourpop's first. Keeping with their adorable packaging, Colourpop has an orange cover for the palette which is white. The size of The Knockout palette is generous. 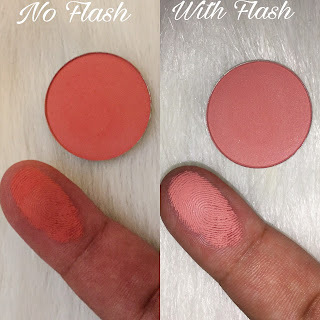 Unless you are using only this palette on your cheeks every single day, you won't hit pan fast. From Left to Right: Excuse My French and Like to Watch. 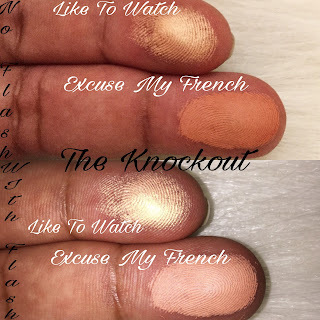 On the top is Like to Watch, a pearlized highlighter; peach with a duochrome gold flip. On the bottom is Excuse My French, a matte soft peach blush. 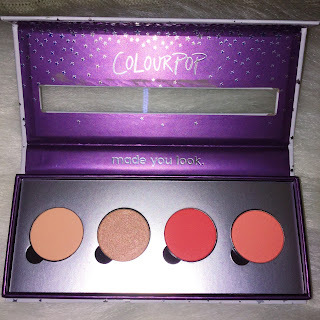 The Knockout palette retails for $16. If you've ever ordered from Colourpop before, they typically include an insert and a booklet that breaks down all of their products. I absolutely love Colourpop. Their price point is excellent and I've never been unimpressed with a product they make. They have a TON to choose from so I'm sure any makeup lover can find something of interest to purchase. I highly recommend not only this collection, but Colourpop as a brand.